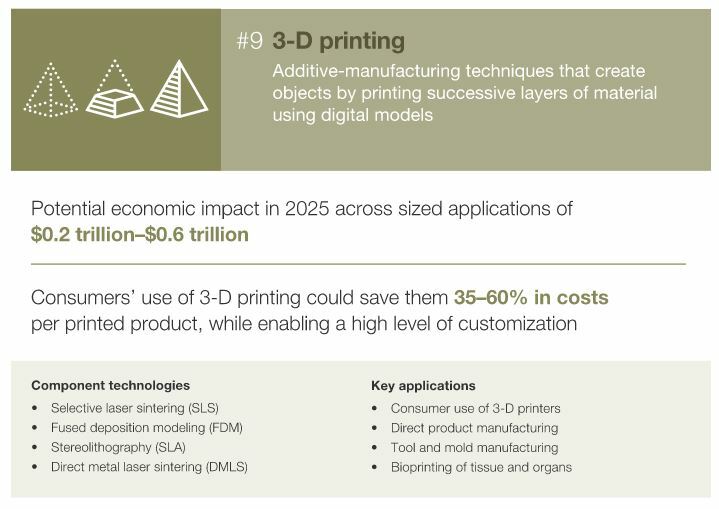 In a forward-looking report, global research firm McKinsey has identified 3D printing as a 1 of 12 disruptive technologies that could deliver major economic impact to the global economy by 2025. According to McKinsey, 3D printing will have an impact on consumer sectors that place a premium on highly customizable products. Some of these industries include toys, jewelry and footwear. In fact, McKinsey believes that by 2025 global sales of 3D printed products in these industries alone lay somewhere between $230-550 billion per year. 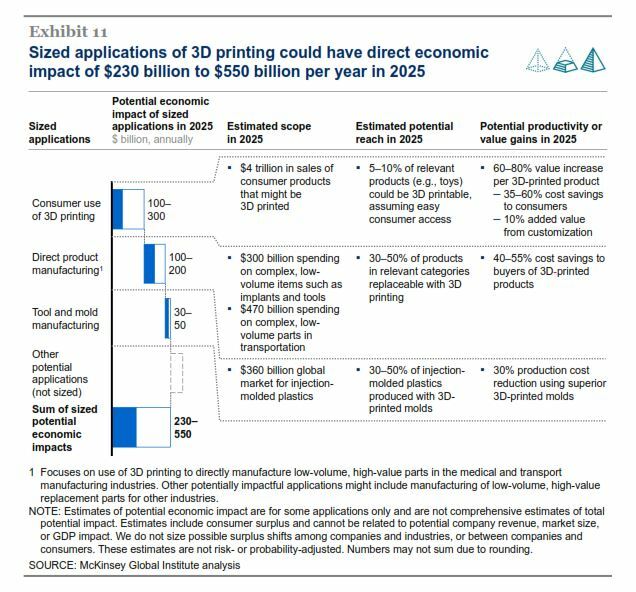 The main areas of improvement that McKinsey’s report identifies for 3D printing to attain a more economically disruptive status are material costs and build speeds. As companies continue to develop new methods to combat these obstacles, it’s likely that 3D printing will gain wider adoption and more economically disruptive potential. If you’d like to read McKinsey’s full report, you can grab a copy here. It’s well worth a read this weekend.